Whether you’re constantly combatting eczema or trying to ward off occasional flare-ups, there’s no denying that the pesky skin condition is no fun to deal with. The itchy, red, bumpy patches can pop up all over your body, from head to toe, seemingly without warning, and are both unsightly and notably uncomfortable, too. While the exact cause of eczema is still largely unknown, the general consensus is that it’s likely due to a combination of factors, including genetics and immune system function. There are also a host of environmental factors that can play a role in either triggering a flare-up or exacerbating existing eczema; these include cold weather, skin irritation, and dryness. Adding insult to energy, eczema can affect anyone and everyone, from babies to adults. Luckily, there are a host of over-the-counter treatment options available that offer safe and effective solutions for eczema sufferers. The key: Looking for ingredients that both soothe redness and itch, and those that help strengthen the skin barrier. 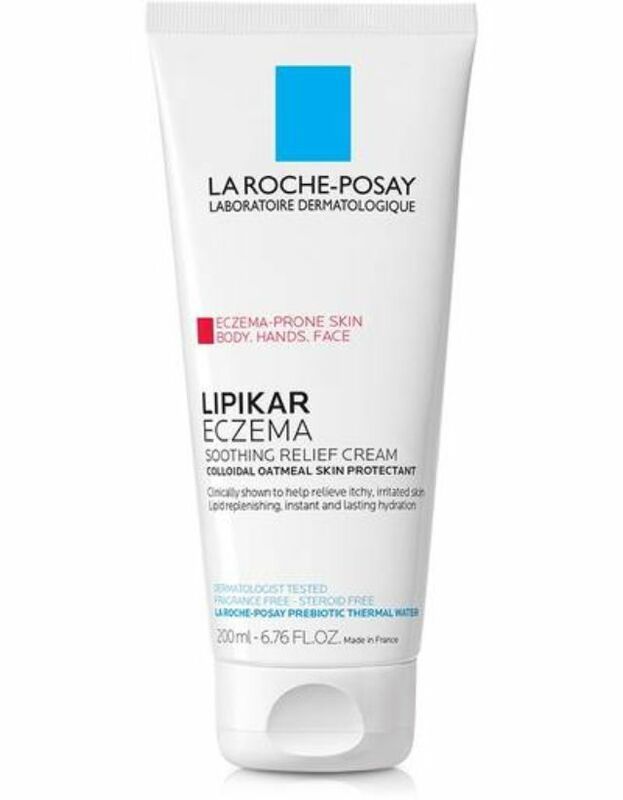 Here, the top eczema creams to try next time your skin is acting up. Accepted by the National Eczema Association, this is clinically proven to relieve itchy, irritated skin and help visibly reduce the signs of eczema. At work are a host of soothing ingredients, including the brand’s eponymous Prebiotic Thermal Water, which is so effective that there’s even a La Roche-Posay Thermal Center in France where eczema sufferers from all over the world come to experience its healing properties. When you want a product that pulls double duty as both an eczema treatment and body cream, reach for this jar. The brand’s best-seller, it’s so popular that one is sold every minute in the U.S. A power trio of calming colloidal oatmeal, skin-strengthening ceramide 3, and hydrating shea butter deliver immediate relief and hydration—a 169 percent immediate improvement in hydration, according to a clinical study, to be exact. Our writers spent 6 hours researching the most popular eczema creams on the market. Before making their final recommendations, they considered 50 different creams overall, screened options from 40 different brands and manufacturers, read over 40 user reviews (both positive and negative), and tested 14 of the creams themselves. All of this research adds up to recommendations you can trust.